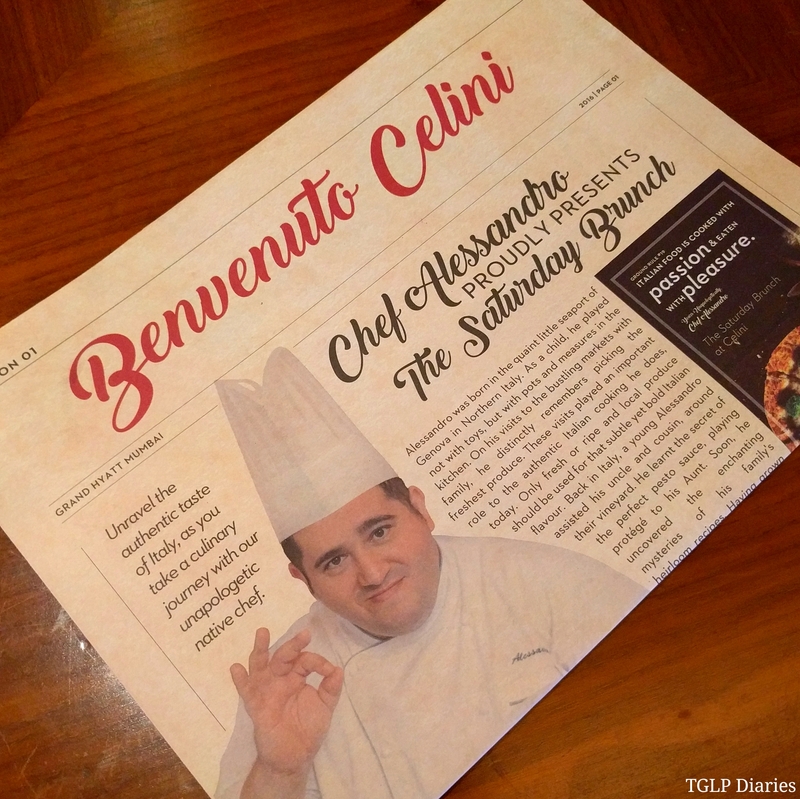 It was a Saturday well spent as I was invited to check out the ‘Unapologetically Italian’ brunch that’s been conceptualised by the very talented Chef Alessandro Persico of Celini, Grand Hyatt Mumbai. 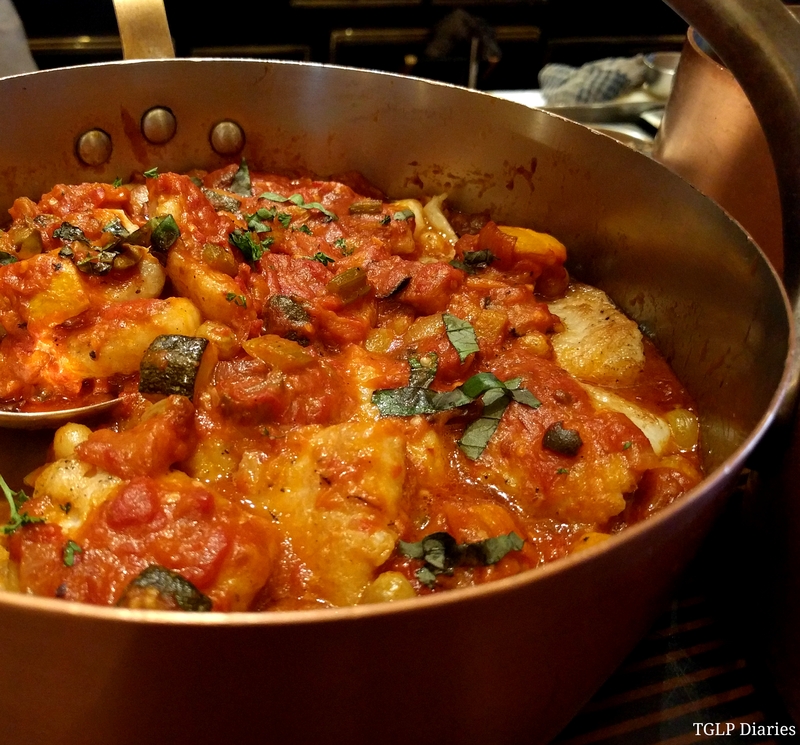 It’s a celebration of the Italian life and I for one was really excited to live it! 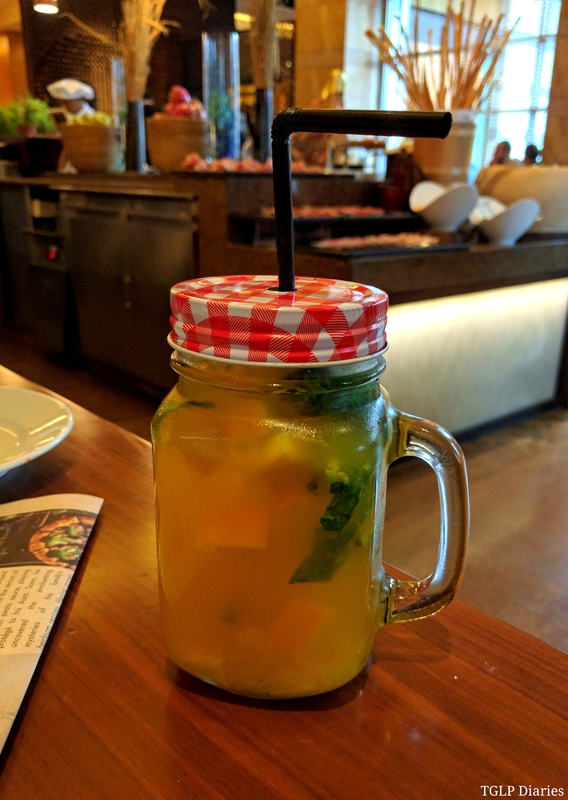 If you’re a brunch enthusiast like me, then I’m sure you’re all pretty used to a multiple cuisines’ setup – Usually on a Sunday and here I was, on a Saturday… ready to indulge in all things only and ONLY Italian! One of my favourite cuisines for as long as I remember, I had high expectations and it makes me so happy to say that I wasn’t disappointed. 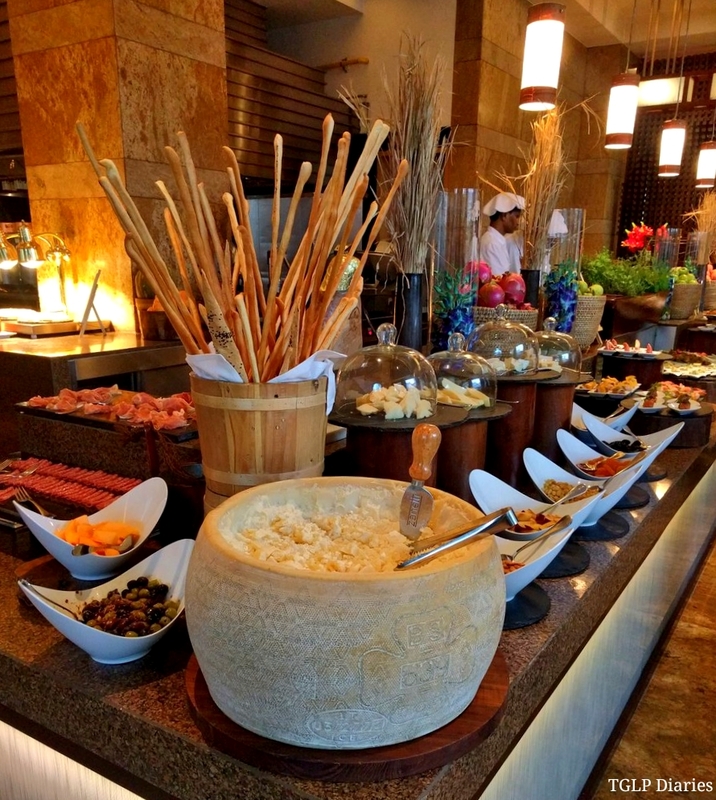 A delectable antipasti buffet with Chef Alessandro’s favourite recipes makes this experience a memorable one. The afternoon began and was graciously supported with some fine champagne cocktails like Donatella, Mimosa and Orange Mojitos. 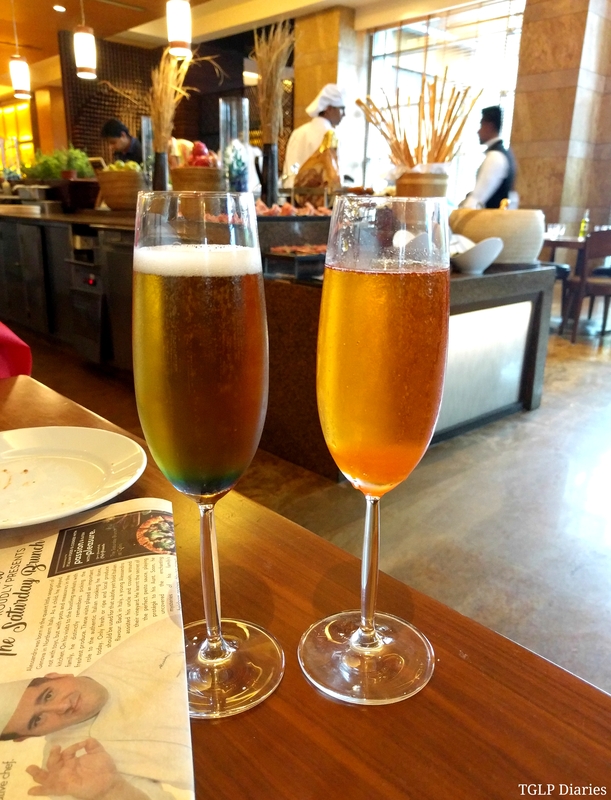 These perfect Italian cocktails are served by the glass and pitchers while chef brings delicacies from pan to plate all through the afternoon. The menu changes every Saturday so I’m obviously going to talk about the one we savoured on this fine afternoon. Certain dishes like the eggplant spicy couscous, roasted zucchini quinoa salad, basil hummus and roasted roman style artichoke stood out simply because they’re unique and aren’t easily available at every other Italian restaurant. There’s of course the crazy variety of cheeses to indulge in so if you’re one of those cheese connoisseurs, then this is bound to be enjoyable! 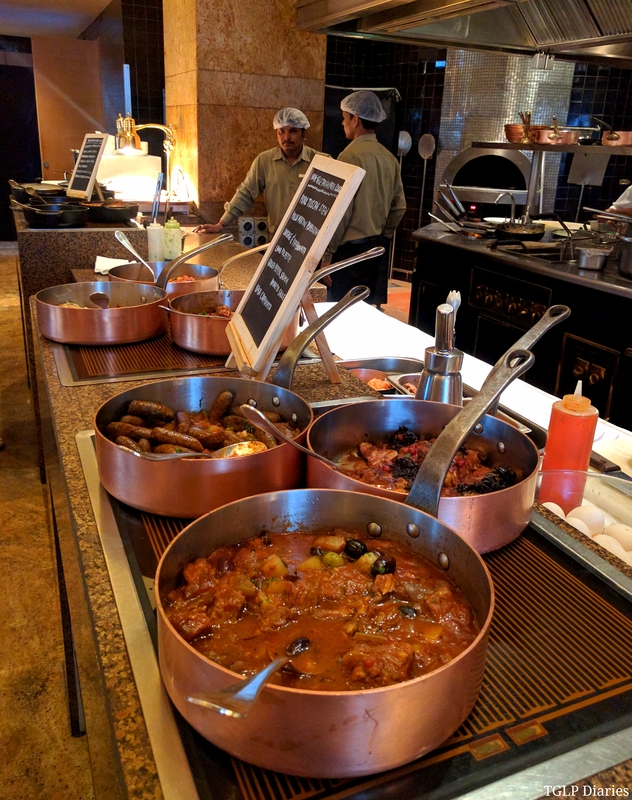 Our brunch actually felt like an eye-opener towards Italian cuisine and it’s lovely to have learnt of so many preparations… A lot of them hard to pronounce, but definitely worth trying out. Amongst the non-vegetarian appetizers, the duck orange salad, marinated sardine, snapper tartar and lamb bresaola carpaccio made for a great start to my meal. What I truly loved about the food I ate was basically to have been able to savour the original flavour of every meat… no matter what style of preparation it was. This is of course, a subjective experience and may not appeal to everyone. But if you’re open to experimental flavours, this is your platform. 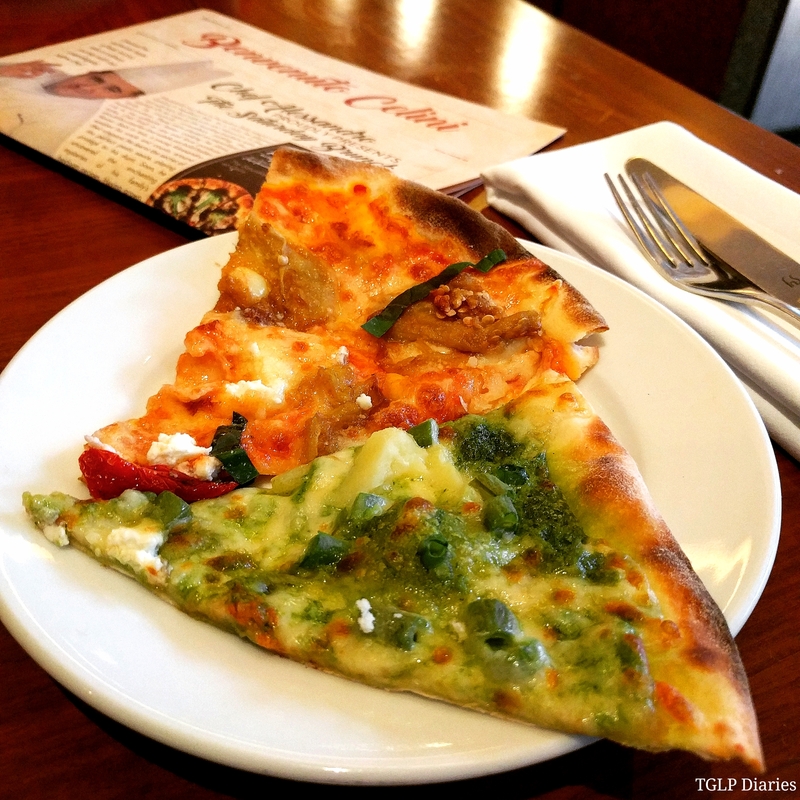 No Italian meal is complete without some good ol’ classic pasta, risotto and of course pizza. Since they taste best when freshly prepared, you can find them on the brunch menu (that’s designed like a newspaper and is pretty cool) and order the one of your choice – a la carte style! We decided to try out tasting portions of the pink sauce pasta (we found the salt content a bit less but that’s subjective to taste) and spaghetti aglio e olio with arugula (generously tossed with a whole lot of garlic) and both were quite delightful in their respective ways. 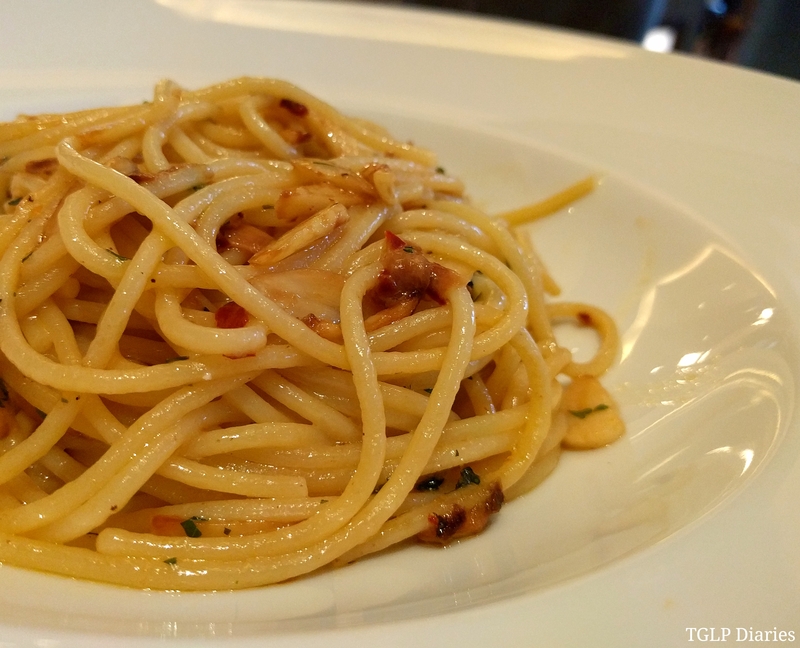 I believe if a chef can make amazing aglio e olio he knows his Italian cooking well… after all, a dish so simple yet bursting with beautiful flavours deserves to be made perfectly! 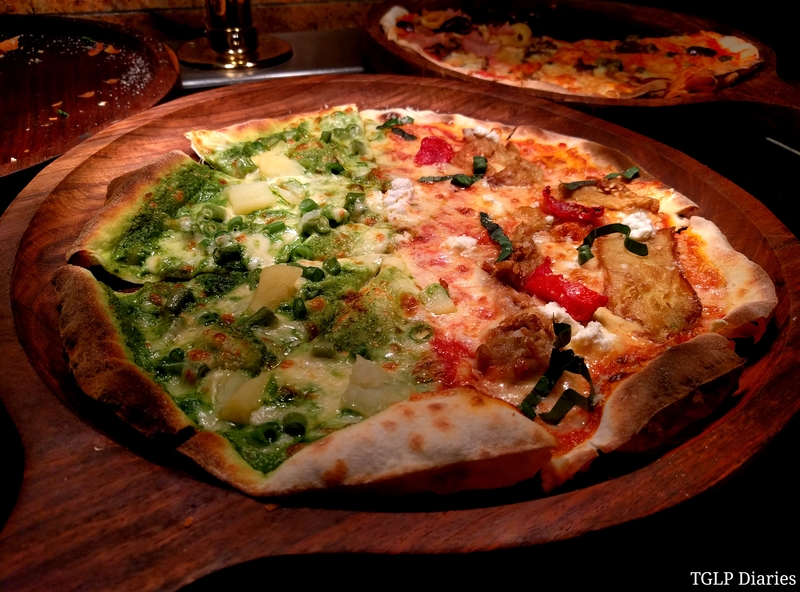 All the thin crust pizza fans in the house… The pizzas aren’t as wafer thin like khakras (I personally do not find those appealing) but are thin enough to get your taste buds to go gaga! I shared a couple of slices along with satisfied smiles of approval with mum. 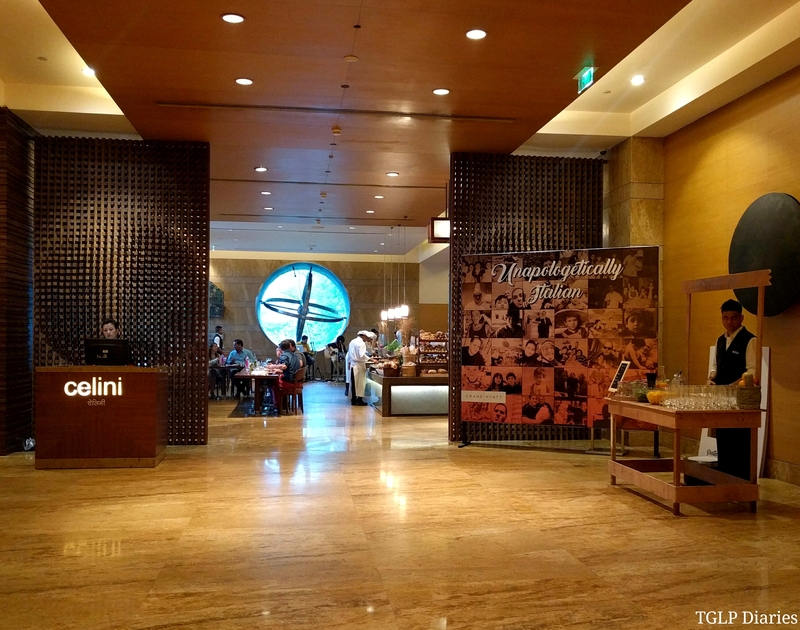 Just when you think you could very well make a meal out of the classics, the main course section (there’s an entire setup right in front of the open kitchen at Celini) has an array of meaty as well as vegetarian preparations to offer. 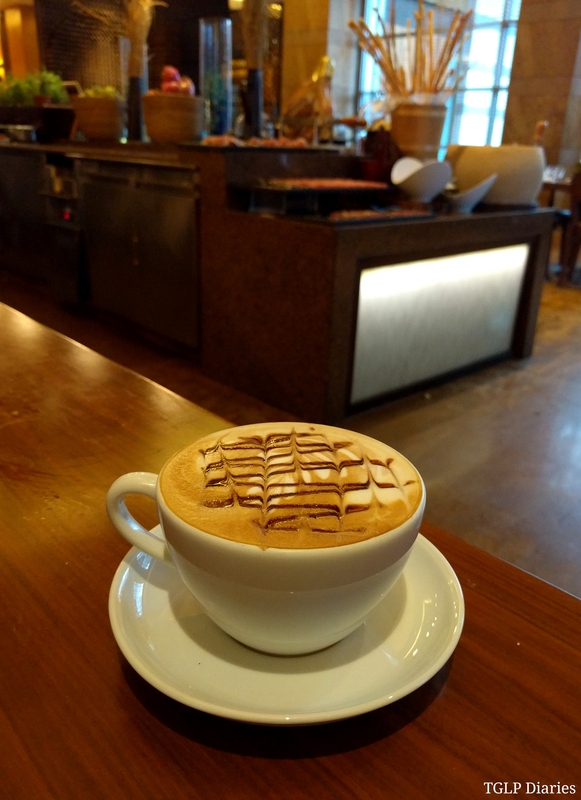 I suggest you give these a shot too… after all, it’s meant to be a leisure brunch and you can spend the entire afternoon here… chilling… eating… drinking… and the works. 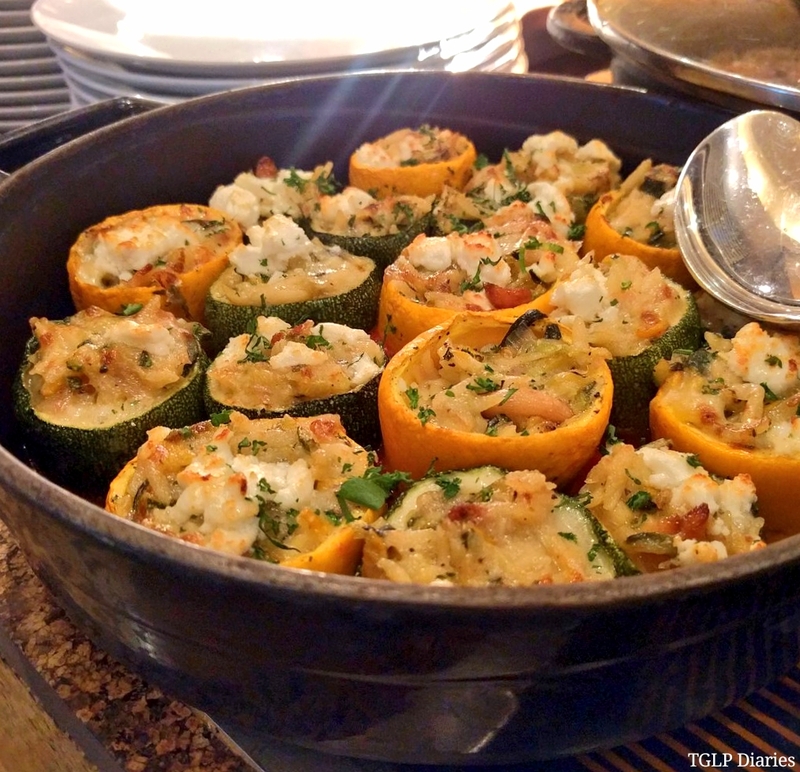 Vegetarian Main Course includes – eggplant parmigiana, swiss chard crepes, mushroom arancini, parsley garlic mash, vegetable lasagna, roasted tomato stew and baked stuffed zucchini. Quite an impressive list, don’t you think? My mother who’s a pure vegetarian certainly enjoyed every bit of these offerings. Meat and seafood lovers… you guys have nothing to worry about unlike the vegetarians… The main course spread is what meaty dreams are made of. Like seriously. 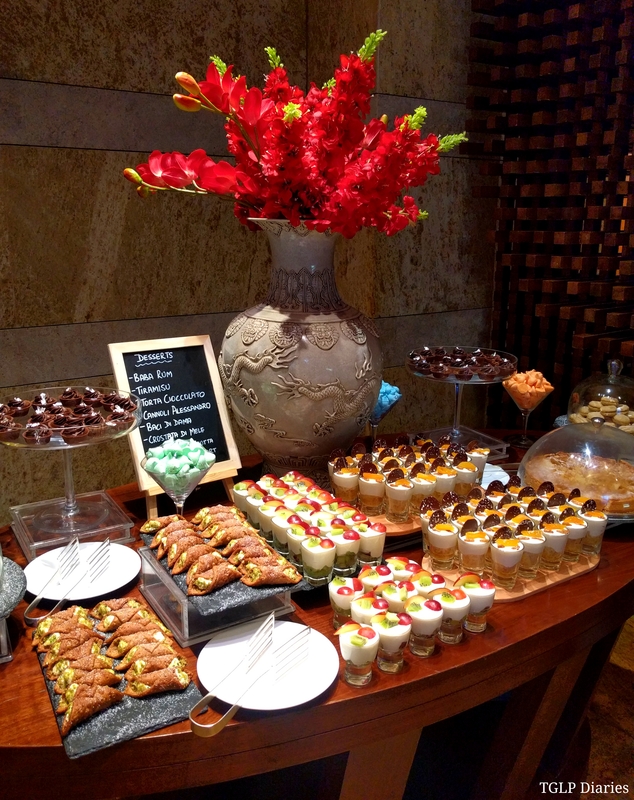 And of course, let’s get down to talking about the highlight of my brunch… the fantastic dessert spread. 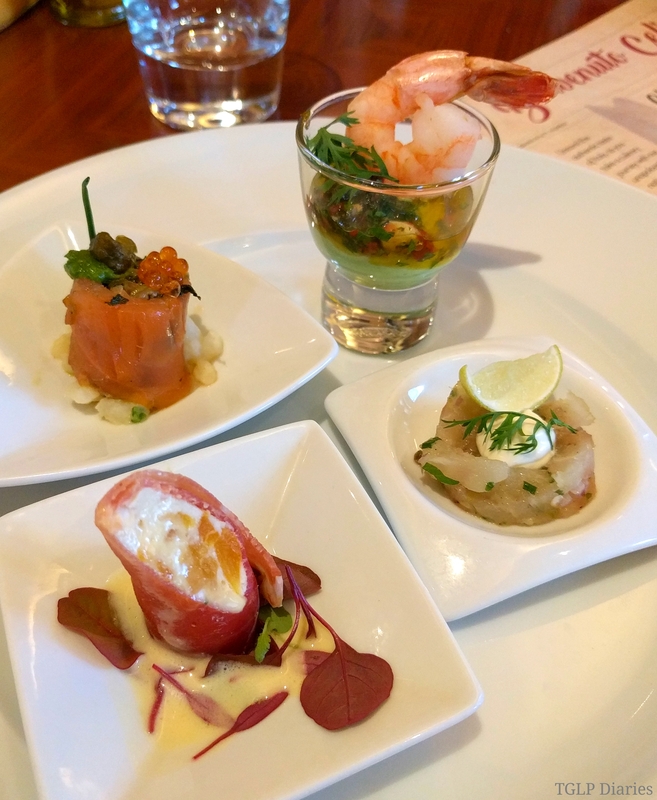 For once, it was such a good feeling to see how quality took over quantity with this otherwise limited selection (some five star brunches have wayyy too many desserts and none of them really leave a lasting impression, don’t you think?) 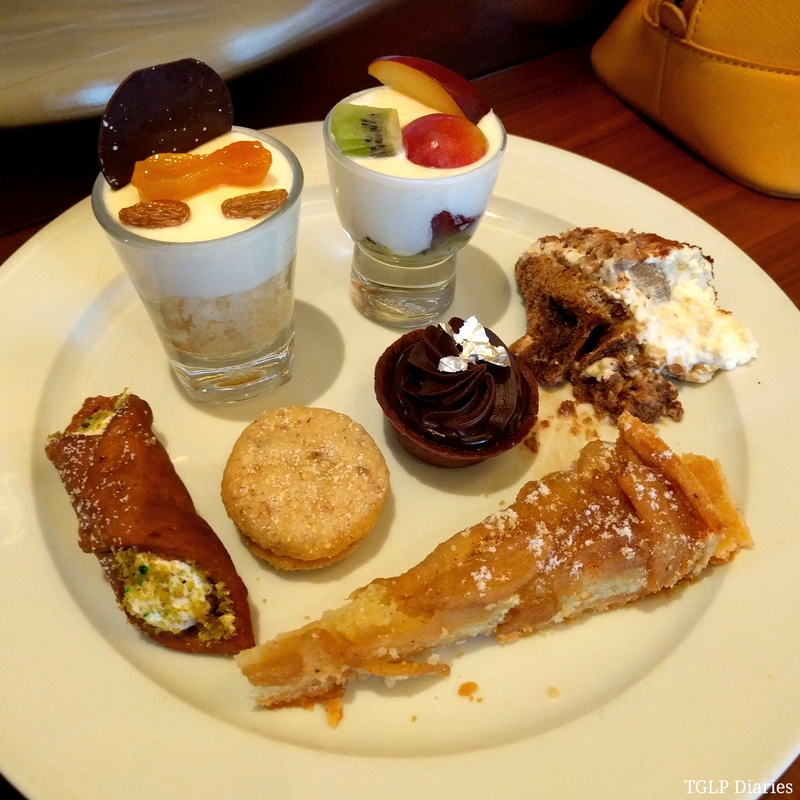 Chef Alessandro’s select few favourites made for a wonderful sweet treat and even though I’m quite alien to the pronunciation of most of these preparations, my taste-buds understand the language of good food and this was my time to celebrate it! The desserts that made an appearance on this particular Saturday include… Baba rum, tiramisu, torta cioccolato, cannoli alessandro, baci di dama. crostata di mele, macedonia di frutta con gelato yogurt. Each one surpassed the next and I guess even though I don’t have a major sweettooth, I would specially want to create one for this spread. I’d like to specially mention the exceptional and warm service received from Ms. Benaz Sadri. She knew what she was talking about and made sure our brunch was a comfortable and non-complicated one. Thank you, Benaz. 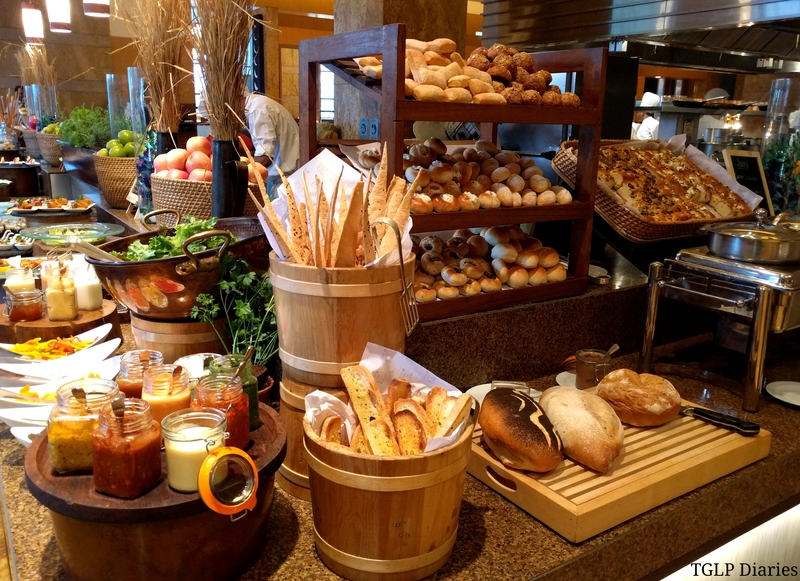 This brunch is available at Celini (Grand Hyatt Mumbai) every Saturday – 12 PM to 4 PM at INR 1999++ without alcohol and INR 2299++ with alcohol. A la carte cocktail pitchers are also available at INR 600++. PS. 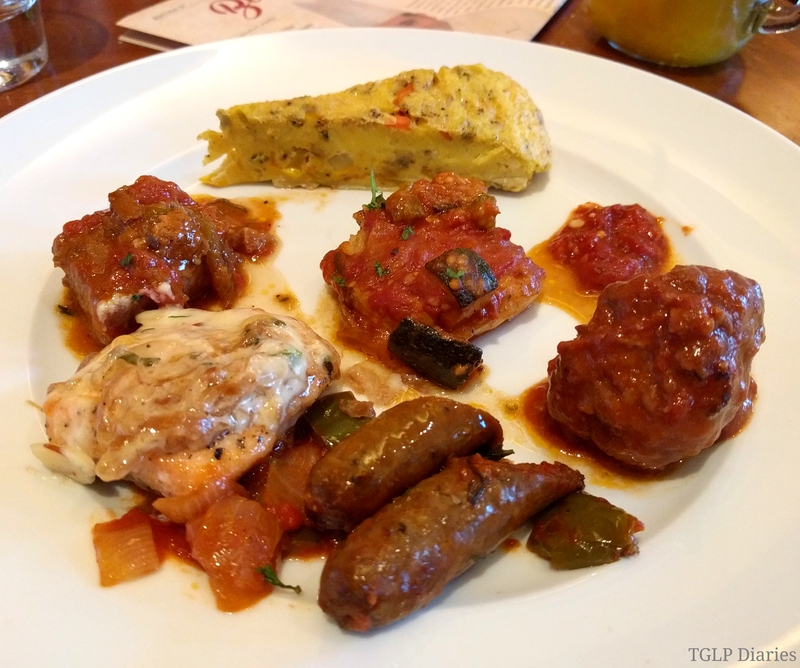 The blogger was invited to try out this brunch. Views are and will always be personal.